This is the Ad-free edition of AndroMoney. The functions on both edition are the same. If you are happy with free edition there is no need to upgrade to pro edition. We hope this app can help you to manage your expense and money easily ! If you install the pro version the free version would remove all Ads. If you don't like the pro version style. You still can enjoy the free version without any ads . AndroMoney is a personal finance tool for use on your mobile phone. By using this tool we hope you can better manage your wealth. 2.Powerful:daily accounting managing categories or even drawing detail reports AndroMoney can easily manage it. 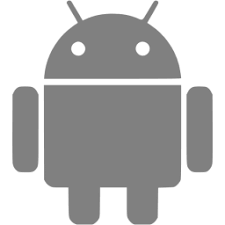 As this App's name suggests we hope AndroMoney will be the best personal finance tool on Android! If you have any problems about how to use it or ideas about how to improve it feel free to email us. We appreciate your feedback! Manage your expense and money easily ! If you have problem please e-mail to us! Mario Lüthy for German translation. Mike Kazonis for Greek translation. Jean Marie for French translation. Елена Трифонова for Russia translation. Alessio Salerno and Carlo Pite for Italian translation. 1. Modify data in record view. 2. Fix summary swipe bug. 1. Add week day period. 2. Share url can be added records by others.